• While accuracy plays an important role in comprehensibility; the omission of 3rd person "s" is not a matter of world peace. • Learner-centered instruction is a route to effective instruction, no matter the age of the learner or the lesson topic. 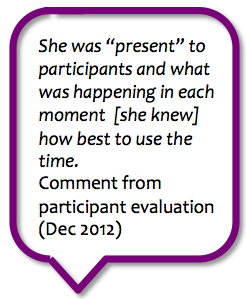 • Every workshop or Webinar is an opportunity to develop an informal community of practice. • Learning is dynamic, organic2, and subject to the whims of fate and the exhaustion level of the learner. • Learners need time to process and time to practice. By the spring of that year, however, Lighthearted Learning had found its way onto my business cards and email signatures. It was a good match for my belief that learning happens more readily when the atmosphere in the classroom (or on the discussion boards) is a lighthearted one.4 This is not to say that I eschew serious or difficult topics--au contraire. But when a community of learners has worked together in a spirit of cooperation, collaboration and general bonhomie, the serious or difficult conversations can take place on a deeper and more meaningful level. 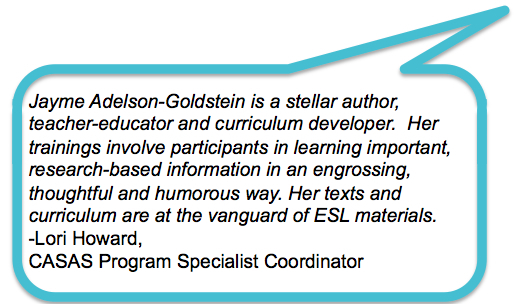 Throughout my career, I have had the privilege of working closely with learners and teachers throughout California. And in the last ten years, I've relished the opportunities to work virtually and face-to-face with teachers and teacher-trainers from all over the world. Wherever I am, inevitably my exchanges with colleagues are cut short as one or all of us have to catch a plane, get to the next session, or try to beat the traffic. 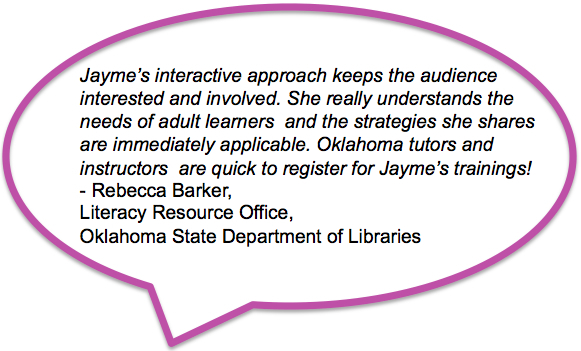 Therefore one of the goals of this website is to extend the conversations that begin in these workshops and courses. 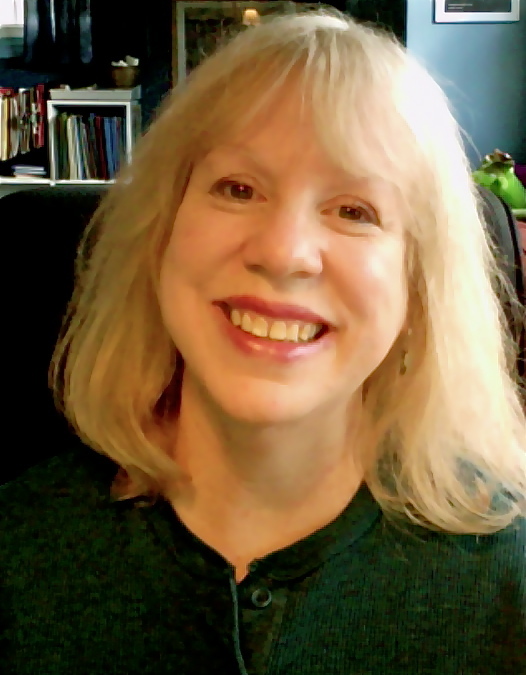 In keeping with my passion for a greener, cooler world, this website will also allow me to share handouts, resources and presentations digitally. It also provides an easy way to preview and/or purchase texts and digital tools that my colleagues and I have developed. 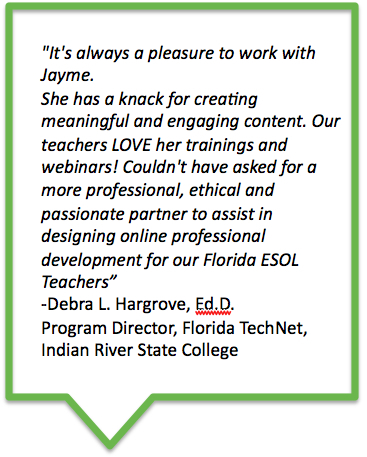 For those wondering what types of workshops and instructional support I provide, this site enumerates and describes my most popular session topics. It also includes a training calendar and my CV. Feel free to contact me to request additional information. I'm excited to see how this website will evolve, but what I'm most looking forward to is the chance to take a moment and embrace the lighthearted aspects of our lives inside and outside the English language classroom. 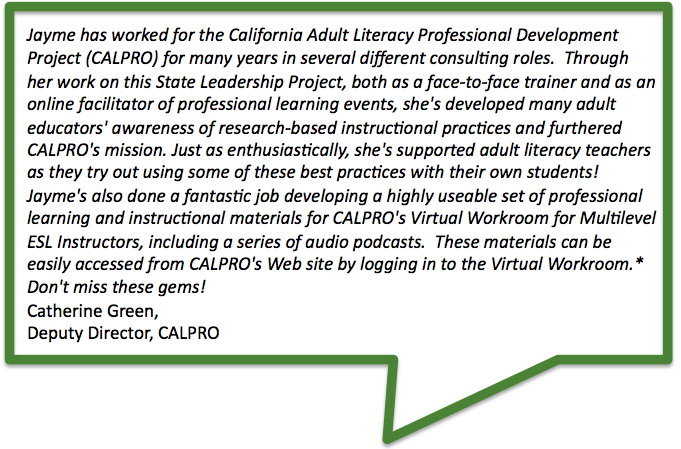 *Click here to see the CALPRO Virtual Workrooms.